The relatively new prepaid division was dealing with a service outage as of late Monday night. No timetable was given for when service would be restored. 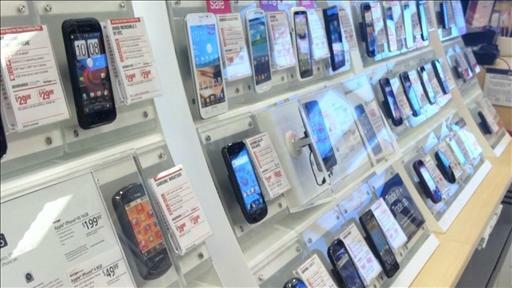 As had been leaked, the retailer will offer plans starting at $35 per month with unlimited talk and text. For $50 per month, customers also get 1GB of high-speed data. The company already had its AT&T GoPhone sub-brand, but with Aio it is aiming to establish a more fully separate brand identity. The company is also adding Nokia’s Lumia 521 and LG’s Optimus F3 to its device lineup as it looks to enter new territory. Outside the U.S., it is rather commonplace to pay full price for a phone in exchange for being able to choose one’s service provider and plan. With recent moves, a similar approach could become the norm here, too. Virgin Mobile USA is bringing the iPhone 5 to its lineup of prepaid phones next week, offering it through its Beyond Talk plans, which start at $35 a month. Of course, the phone itself will range from $550 to $750, depending on storage size. Virgin Mobile is not the first brand to offer the iPhone 5 through prepaid options: Cricket Wireless and AT&T’s prepaid GoPhone brand also offer or support the iPhone 5, while T-Mobile sells the iPhone 5 starting at $580 without a contract, and Walmart sells the device through Straight Talk, sans contract, for $649. The prepaid brand is launching in three cities, with plans ranging from $35 to $70 per month. The Sprint-owned prepaid brand is hoping to woo T-Mobile customers with what it says is a better no-contract option. Meanwhile, Sprint said its mix of contract and no-contract plans offers customers the best of both worlds.